cellist, Yo-Yo Ma, when he visited her hometown of Taipei, Taiwan as a part of his Worldwide Master Tour. 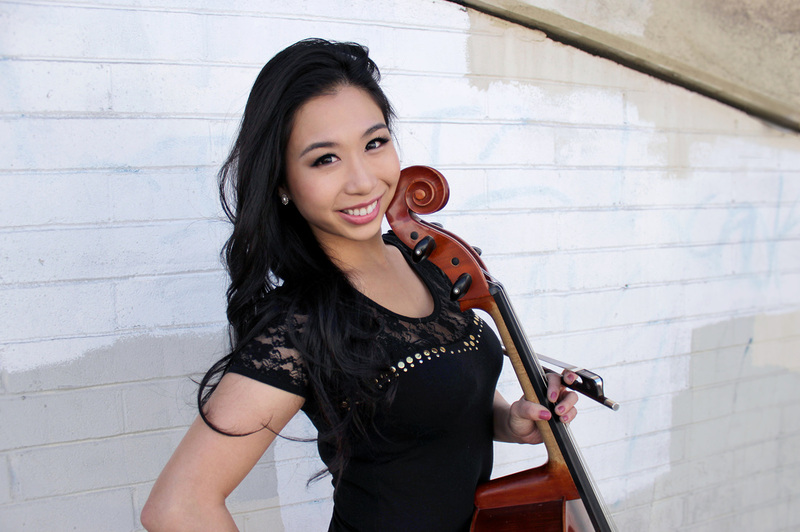 the first musician in USC history to earn a double degree in both cello and piano performance. Kang is now the resident cellist for Celine Dion, also served as the solo cellist for "Celine Dion Summer Tour 2018" all over Asia, Australia and New Zealand. Kang maintains a very active schedule as a performing and recording cellist throughout the U.S. and Asia. Kang’s musical collaborations range from classical, orchestral, chamber music, pop music, as well as TV commercials, video game music and movie session recordings. Kang also works remotely from her home studio, making her cello available to a wide variety of musical clients. Click on the music page to listen to some recordings Kang has done. Stevie Wonder, Celine Dion, Demi Lovato, David Foster, Michael McDonald, Sarah McLachlan, Florence and the Machine, ‪‎Richard Marx‬, ‎Eric Benet‬, ‎Kenny Loggins,‬ Rachel Platten, Carly Rae Jepsen, Andrea Bocelli and Earth Wind & Fire. Judy has also performed with world-renowned cellists Mischa Maisky, Steven Isserlis, Ralph Kirshbaum, and Lynn Harrell.